GOD IS CALLING US TO A NEW LEVEL OF FAITH! Jesus is the perfect theology, only Jesus himself can be the cornerstone of our theology..build your faith on the rock, Jesus is the foundation! Let God express His love for you through the supernatural.. The same yesterday, today and forever, Jesus is unchanging...He is the only answer ... Jesus is all we should ever build our faith on ...we should never be moved by what we see we ...we should only be moved by what we believe ...the man who believes that the Bible has not changed, the one who believes in the miraculous, never wavering.. I believe God is shaking things up ...He wants to bring us back to the truth, He wants us to know who He really is ..we simply cannot compromise the truth!!! God has always expected us to do greater works and we will perform these amazing signs and wonders if we believe that we have the authority of Jesus Christ and all that that encompasses backing us up......God has not changed.. He did not just decide one day that he was tired of doing miracles and that He was just going to retire and leave us floundering.. never believing in what we pray for... Never believing that He will in fact answer us in our time of need...Do we actually wholeheartedly believe in what we pray? Are we just saying words? Are we simply filling up a time quota of prayers on our hurried Christian checklist..? Is there doubt behind what we speak...? Do you actually believe that every word of the Bible is true....? Are we too sinful, unworthy, or do we just think that blessings belong to everyone else? Perhaps you are one who picks and chooses the scriptures your mind can believe and you leave the rest to historical fiction... But , isn't all faith in what we cannot see? Or then... Why would it be faith at all if you could see miracles..? I am here to tell you... MIRACLES happen everyday!! I have witnessed miraculous events.. Crippled People standing from wheel chairs and walking, healings and deliverances... My list is huge.. God is still God!!! Faith is in first believing it will happen ... That God will most assuredly do what His word says.. 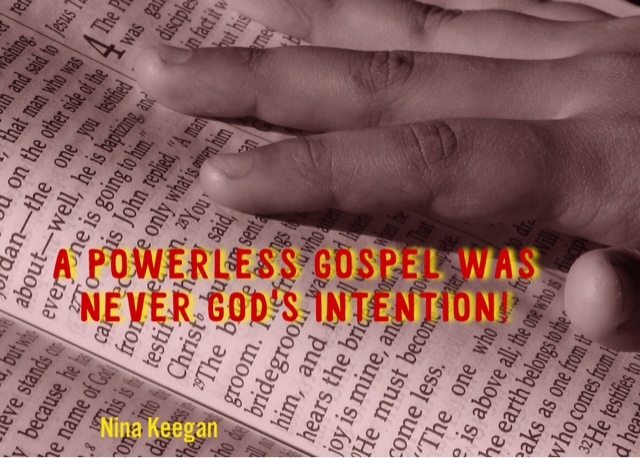 He watches over His word to perform it..
A powerless gospel was never Gods intention! We can have all the power and authority and live in absolute expectation that we can do greater works because God himself...as written in the pages of our Bibles, expects us to... ! We should never lower our expectations of what God can do ...somewhere along the line it became safer to not believe in miracles because we don't believe in our abilities to perform them...but it's never about us, it is all about Jesus!! God uses us to perform miracles ...it's about us being the instrument, the mouthpiece,the hands, the feet... The groundwork and the foundation have already been laid.. miracles can happen when we set our expectations on the Bible truths and take the authority that's been given to us and go be the image of Jesus! 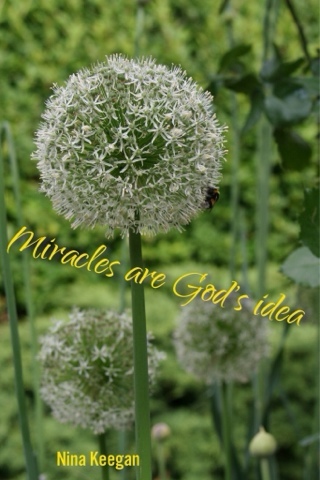 God is emphatic about miracles! Ask Him, keep on asking, believe wholeheartedly and keep on knocking on the door of bold and deliberate faith! God's promises are true... we only need to believe in what He has done for us, then we will be qualified to receive every single promise that He has given us ..we should search out the privileges and the power that comes from being a child of the most high God , we are VIPs to the throne room of heaven, when we approach The Father in Jesus name.. The red rope is pulled aside and we are brought to the front of the line when we come in Jesus name ... We get the privilege of accessing God and his mighty throne room of grace ..we humbly can approach him and seek him for all we need! God is our unending source, our unlimited supply of blessings, mercy, goodness and ALL THINGS MIRACULOUS. We just simply need to trust God ...miracles have always been God's idea in the first place ..not ours ! Spend time getting to know the Lord.. spend time in his presence and seek his faithfulness, seek intimacy with Him, it is the key to all things..
God will give you power if you only believe, He will give you a fresh impartation to be his remnant, his working vessel, here on earth.. The truth is if we don't truly know the Father.. the One we put our faith in ...if we don't truly spend time with Him and understand his omniscient character and his love for us ... Then how can we believe in his miracles? We seem to have no problem believing that we can have salvation through prayer, that we can be forgiven through repentance, but we seem to have a problem with the miracles ...yet they're all really the same things ...they're all miraculous events ...whether it be a physical change, an emotional change, healing, forgiveness or becoming a new creation in Christ; isn't it all miraculous? Is not salvation a miracle...? Are they not all gifts from heaven? Why then should we ever have a problem believing in physical healing and the power of miracles? Let's begin to renew our minds and believe in God's perfect love for us ..let Him reveal it to you.. let's ask for revelation of the Father's heart towards us! Let's be bold and let's let the Bible dictate how we as God's chosen, his called, his remnant, believe in the miraculous again! Lets believe for supernatural manifestations and in creative miracles, let's believe in the cornerstone ...the perfect theology ..JESUS CHRIST! 7 As you go, proclaim this message: ‘The kingdom of heaven has come near.’ 8 Heal the sick, raise the dead, cleanse those who have leprosy, drive out demons. Freely you have received; freely give. Acts 4:30 - By stretching forth thine hand to heal; and that signs and wonders may be done by the name of thy holy child Jesus. John 4:48 - Then said Jesus unto him, Except ye see signs and wonders, ye will not believe. Acts 3:16 - And his name through faith in his name hath made this man strong, whom ye see and know: yea, the faith which is by him hath given him this perfect soundness in the presence of you all. Luke 16:10 “If you are faithful in little things, you will be faithful in large ones. But if you are dishonest in little things, you won’t be honest with greater responsibilities.